Shift. Photo filters. Pick one, customize it. Need I explain more? *Eye roll* Alright alright, I will. So you know how most photography apps offer a list of preset filters that are supposed to make your images pretty? Or artful maybe? If you ever wanted more freedom over these filters, Shift could be your solution. The app, which started out on iOS, has just been released on Android — a Christmas gift of sorts from the team. 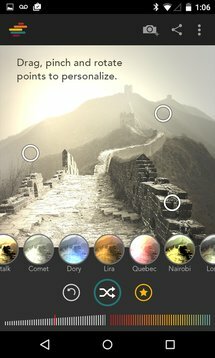 You select a photo from your gallery or take a new one, then you shuffle through a random list of effects. 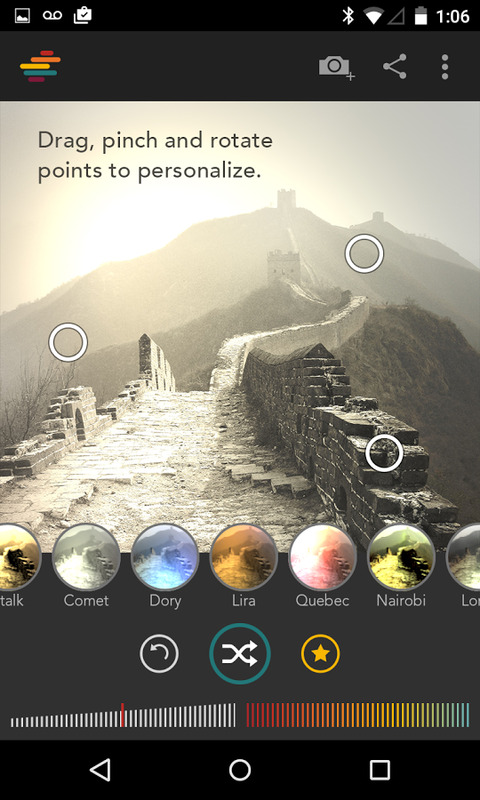 These include a combination of textures, color modifications, light leaks, contrast edits, and more. 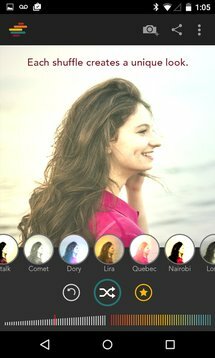 Once you find one that seems to work for you, you can dial the intensity up or down, and slide the color control to a hue that suits you. Shift uses 3 draggable focus points for each effect, allowing you to further optimize the area of the image that the edit is applied to. 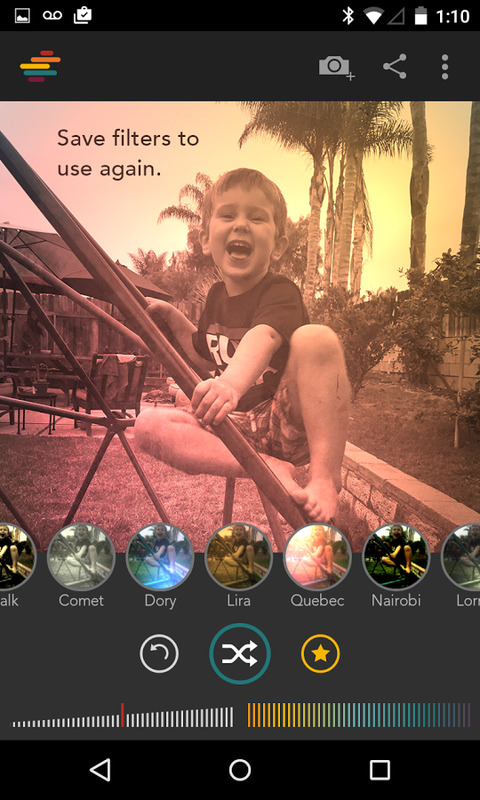 Once you're happy with the result, you can favorite the filter to be able to use it again on another photo. 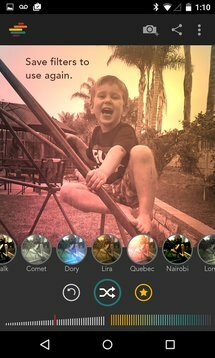 Although the premise of Shift seemed quite interesting to the casual Instagrammer in me who often wishes for a little editing room in some filters, I found the app confusing and sort of disconcerting. There's the unpredictability of the effects with the Shuffle button, so you never know how many times you'll click it to get something that is remotely usable. And there's the sheer amount of choices you get that makes you spend more time undecided on what effect to use. Both of these make Shift a little less reliable and a lot more demanding than Instagram for example. 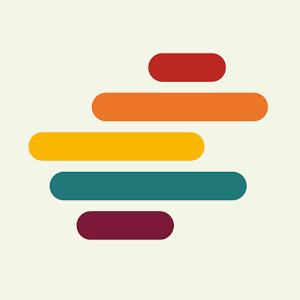 I guess if you spend enough time shuffling and finding the perfect combinations that work for you, you could create a library of favorites that circumvent the randomness of the app. But those won't be easily transferable across devices. The end result is that Shift doesn't really satisfy the person looking for precise control over their filters, nor will it appeal to the casual Instagrammer. Shift is free, so you can give it a go and see if its promise of unlimited filters works for you. It's an interesting app, for sure, but not one that will keep me personally coming back.